IndiGo Rs. 899 offer: The booking period of IndiGo’s flight ticket offer ends on February 9, 2018, said the airline on its official website. Passenger carrier IndiGo is offering domestic flight tickets at a starting all-inclusive price of Rs. 899 in a special promotional sale offer. 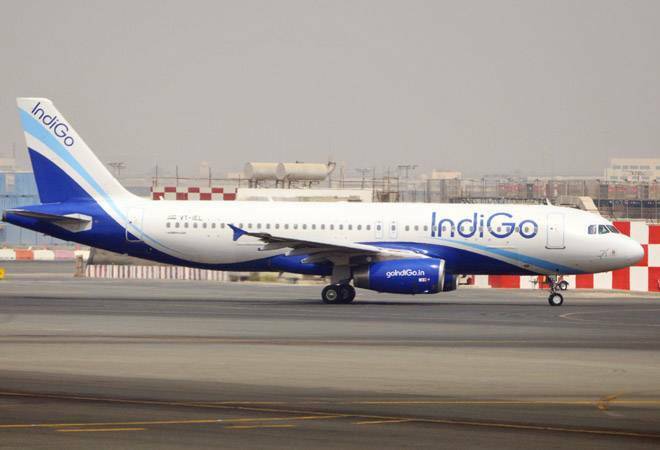 The booking period of IndiGo’s flight ticket offer ends on February 9, 2018, said the airline on its official website- goindigo.in. This special sale is valid for travel between February 20, 2019 and April 15, 2019. IndiGo’s offer on flight tickets come amid high competition in the country’s civil aviation sector, boosted by robust growth in passenger traffic registered over past few months. 1. IndiGo’s offer is valid only on non-stop flights on various sectors across airline’s network, according to airline’s website. 2. This offer is non-transferable, non-exchangeable and non-encashable. Change in itinerary can be made by paying the applicable change fee and fare difference, mentioned IndiGo. 3. Limited inventory is available under the offer and therefore discounts will be provided to customers subject to availability and at the sole discretion of IndiGo. 4. This offer cannot be clubbed with any other offer, scheme, or promotion. 5. The offer is not valid on IndiGo’s group bookings. SpiceJet is offering domestic and international flight tickets starting from an all-inclusive Rs. 899 and Rs. 3,699, respectively in a limited-period offer. SpiceJet’s offer on flight tickets is valid till February 9, 2019. According to SpiceJet’s website, spicejet.com, the travel period on discount offer is valid till September 25, 2019.